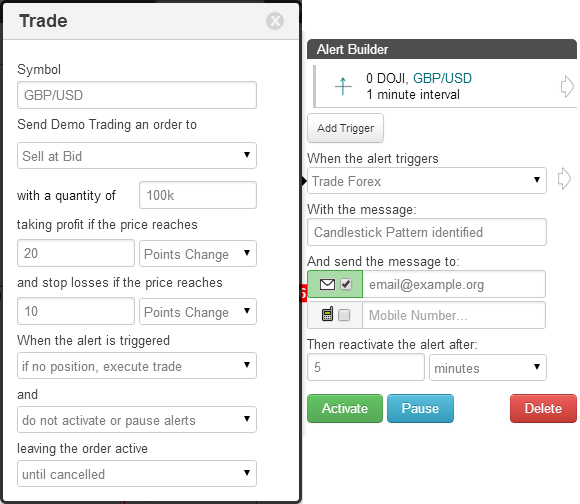 On the TimeToTrade charts, a Candlestick Tail Size indicator can then be used to execute trades, provide an Email or SMS text message notification when your candlestick chart patterns have been met or backtest a trading strategy. The Candle Tail Size indicator returns the tail height of a candle on each interval. 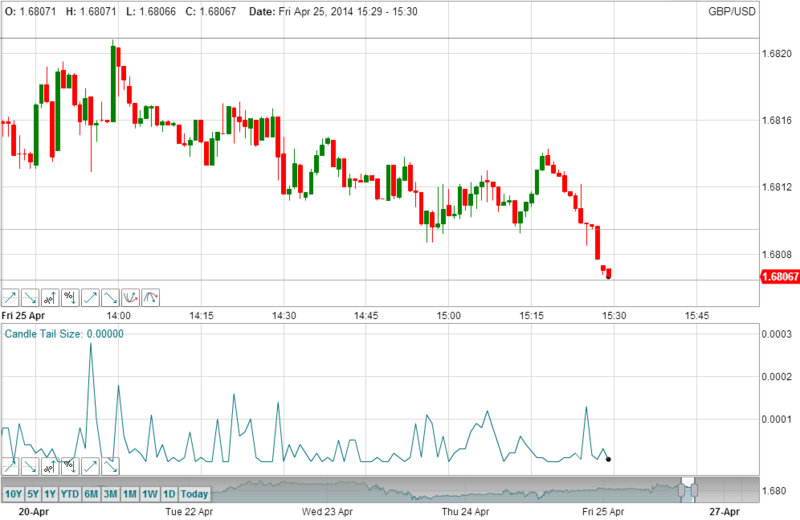 It is considered a base indicator that can be used to create custom candle stick indicators and alerts. Learn more about the Candlestick Tail Size indicator. 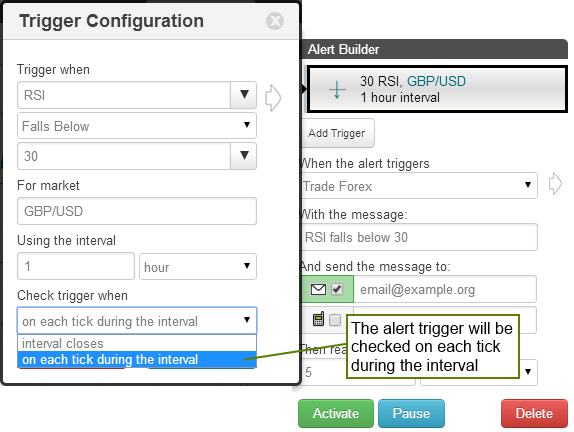 Rising Threshold Alert Trigger, is triggered when the value of the Candlestick Tail Size rises above a specified value. Falling Threshold Alert Trigger, is triggered when the value of the Candlestick Tail Size falls below a specified value. Break-Out Alert Trigger, is triggered when the Candlestick Tail Size increases by a specified value within a the selected interval period. Pull-Back Alert Trigger, is triggered when the Candlestick Tail Size decreases by a specified value within a the selected interval period. 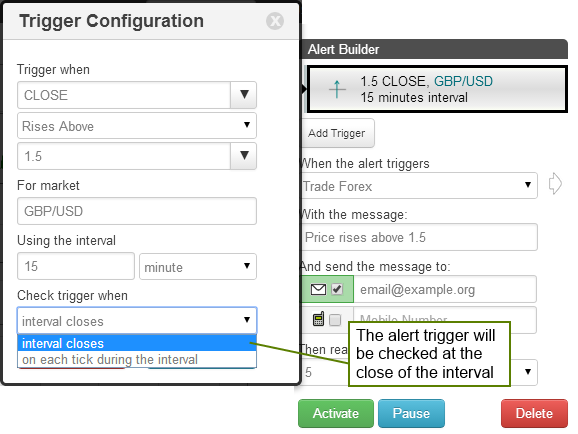 Percentage Break-out Alert Trigger, is triggered when the Candlestick Tail Size increases by a specified value within a the selected interval period. Percentage Pull-back Alert Trigger, is triggered when the Candlestick Tail Size decreases by a specified percentage within a the selected interval period. 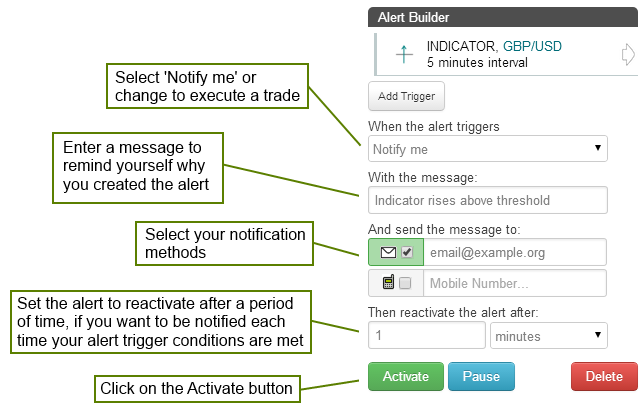 Above Alert Trigger, is triggered when the Candlestick Tail Size is above a specified value. 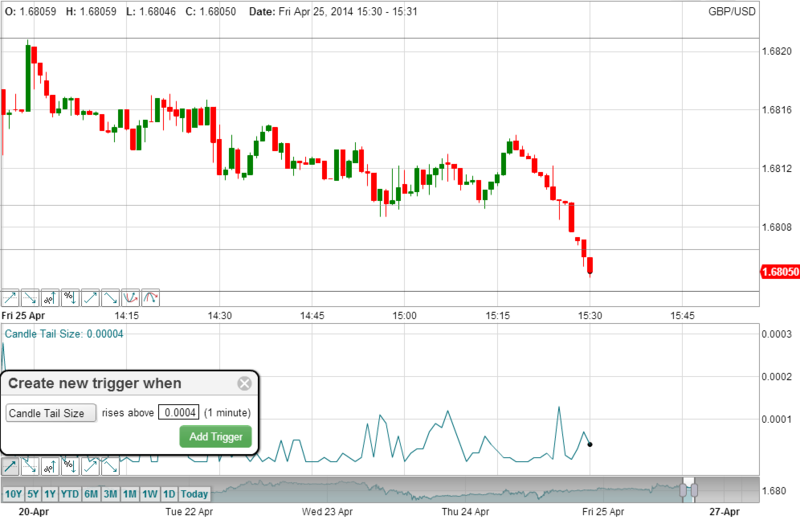 Below Alert Trigger, is triggered when the Candlestick Tail Size is below a specified value. Positive Crossover Alert Trigger, is triggered when the Candlestick Tail Size rises above / crosses over another indicator, price, a specified value or trend line that you have drawn on the chart. Negative Crossover Alert Trigger, is triggered when the Candlestick Tail Size falls below / crosses under another indicator, price, a specified value or trend line that you have drawn on the chart.